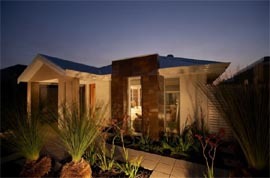 Impressions' "Evergreen" display home at Ellenbrook is built using a new type of internal brick called "Ecobrick". This brick, which has unique closed air pockets, is said to have excellent thermal, environmental and economic benefits. 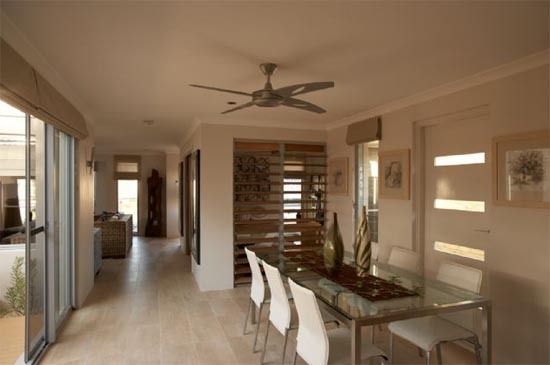 Advanced Concrete Technologies, the company behind Ecobrick, says combining the thermal properties of Ecobrick with external clay brick can improve a home’s thermal insulation properties by 57 per cent.